Watch out there’s a Merc about. Discussion in 'OT (OFF Topic) Forums' started by brucemillar, Feb 8, 2019. Have you a better pic Bruce ? Try this. Sorry it’s taken on my iPhone. It's nice, it's got Gav's Avatar on the face! This came from a friend. But I have seen them on eBay and in some Dealers. I have worn it with a suit and with jeans and of course in a Mercedes. MercedesDriver and DSM10000 like this. Think I'll stick to my Omega Speedmaster! GeeJayW and DaveE320CDI like this. Indeed and me with my Rolex Oyster Datejust 1976. But this is just a bit of fun. Not willy waving. Mine is far to big. A hugely accurate watch here and I mean hugely accurate. 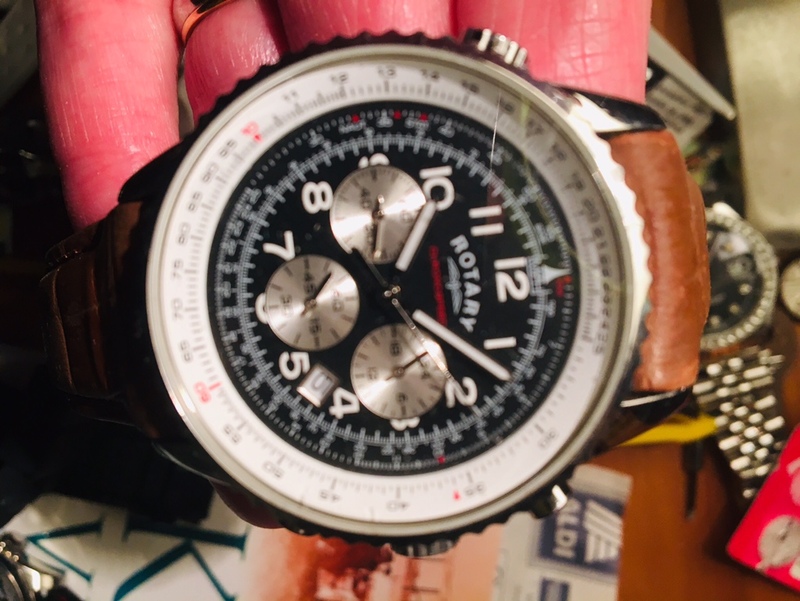 I have far too many watches around 14 or so but my 3 favs are Bulova Moon Watch, Hamilton Ventura and a Chris Ward VW4. I quite like it too, would be nice to have on depending on mood. That must be a pleasant change from the Rolex. 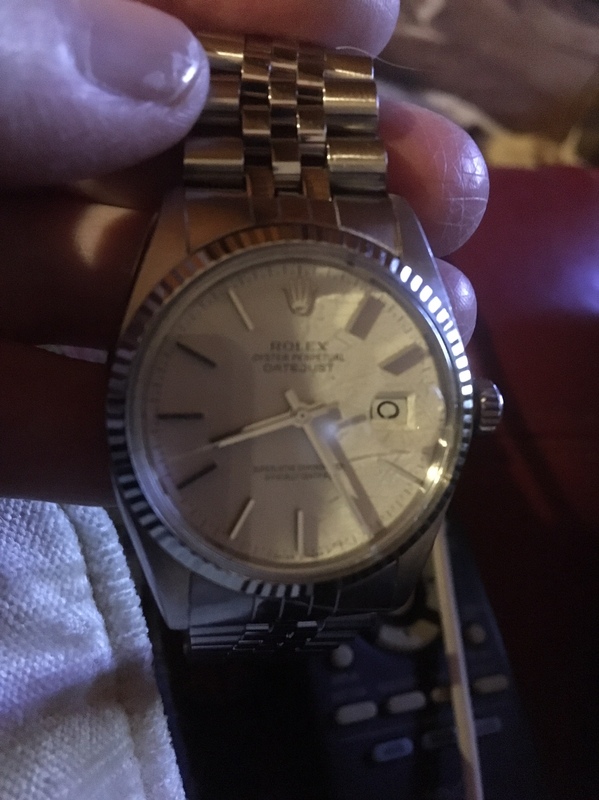 I've got a Datejust the wife bought me many years ago and even after a service it still keeps pretty crap time but "within limits" as Rolex say. Ah horology - another of my interests. 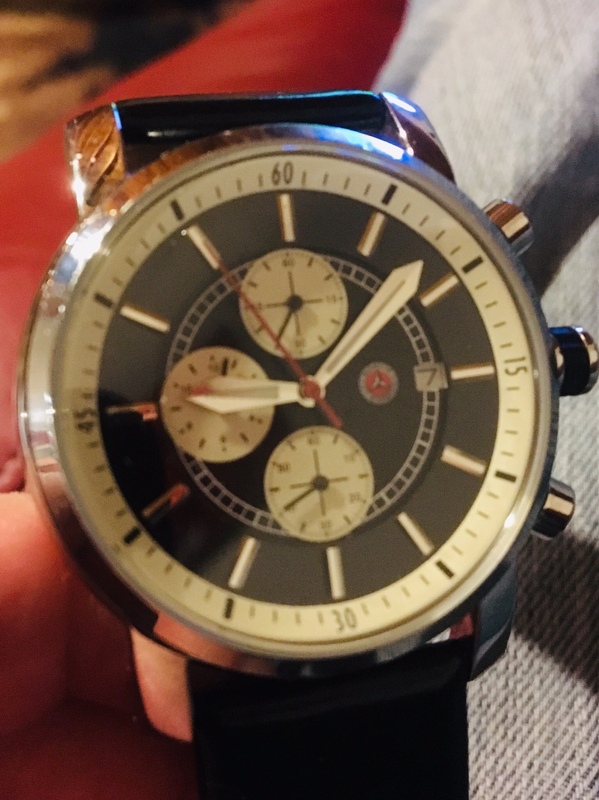 Had a few nice timepieces in my time but my favourite I had to sell (to raise some badly needed funds 3 years ago have been made redundant ). So if any of you guys have a Breitling Headwind in whatever condition and want to part with it, let me know. whitenemesis and brucemillar like this. I really like the Rolex. I sold another custom made Oyster that had a pyramid etched face with gold Roman numerals. I needed the money and really missed the watch. So I bought this 1976 (it has the lug holes) understated 18 carat jobbie. I wanted Roman numerals again but fell in love with the plain white and blue hands. 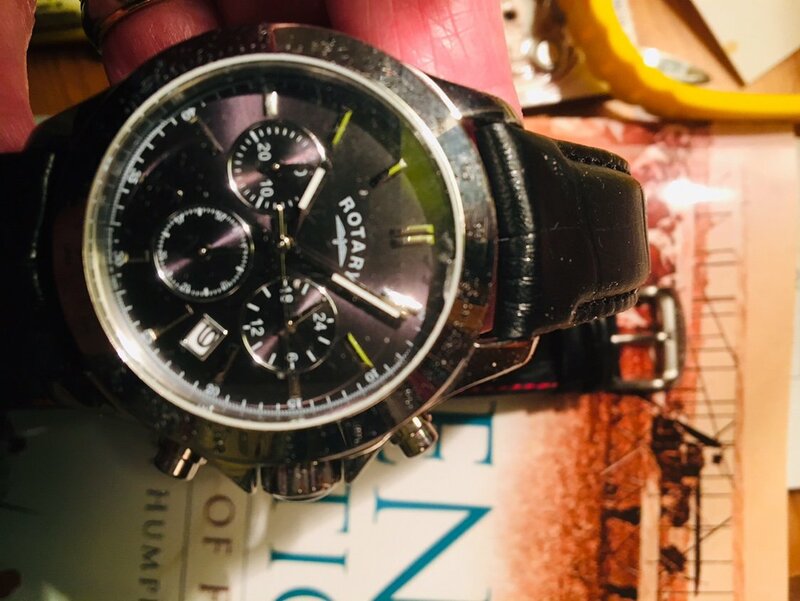 I have a pile of watches of varying quality and prices that I tend to wear to suit my mood. 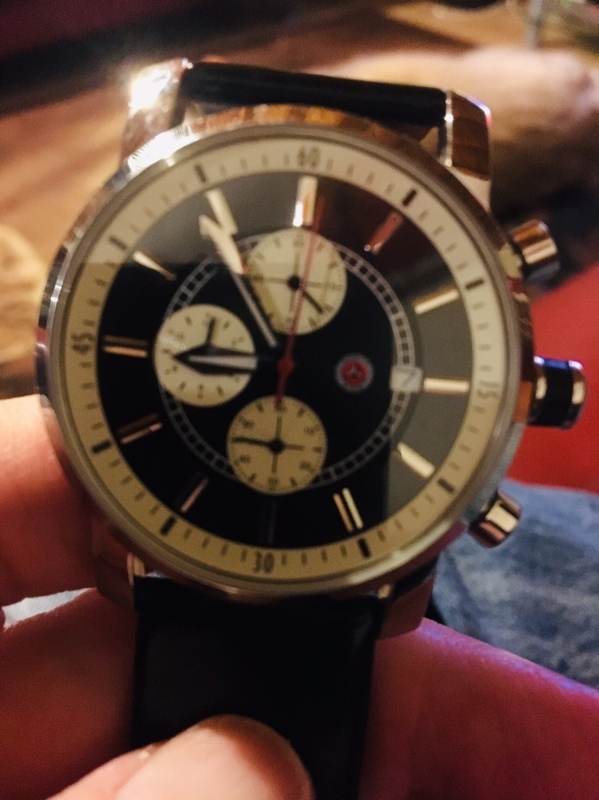 I'm well into double figures, the two I'll never part with are the two that I wear less often, Breitling Superocean Heritage that my wife bought me and my Dad's 1958 gold Roles Oyster Perpetual. I've a soft spot for cheap Japanese automatic divers (curse you Creation watches)! I was given a Tissot Visodate on a Milanese strap by my team at my last corporate job. I bought mt Mrs a rather nice Cartier for her birthday last year. I don't suppose that I strictly need to buy another watch in my lifetime. I like Tissot especially the Visodate. A nice plain design. 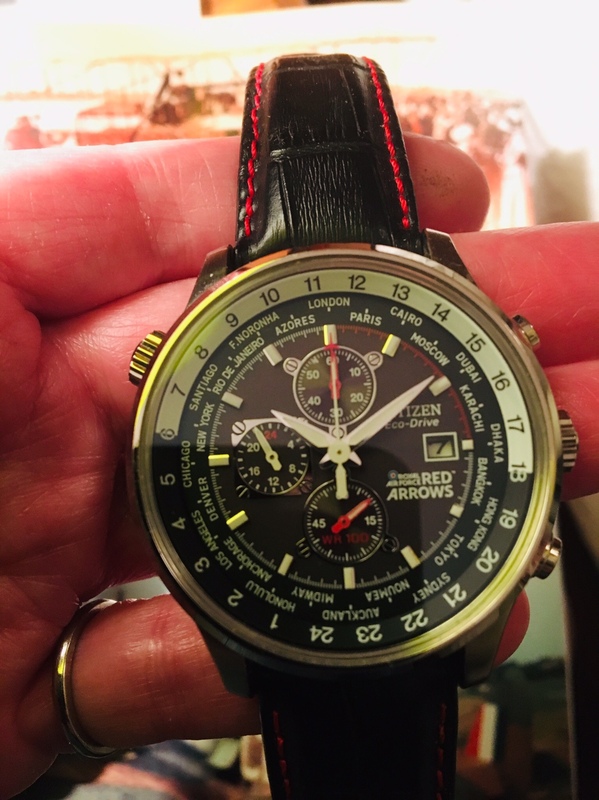 A lovely Red Arrows Limited Edition Citizen. Another Rotary (with a chipped glass) reminds me of passing out in the road. Ouch. There are more. I just can’t help myself. But I’m pleased to see I’m not alone. Sorry just my SuperOcean, after a £600 service..
Blatant Navitimer clone but I like it. I also had a nice Citizen Perpetual Calendar. Very very accurate. Sold that one also. Have an Omega Seamaster, given to me by my wife as a wedding present. What I really wanted was a Philippe Patek, still waiting unfortunately. SL500AMG and Edd1968 like this. 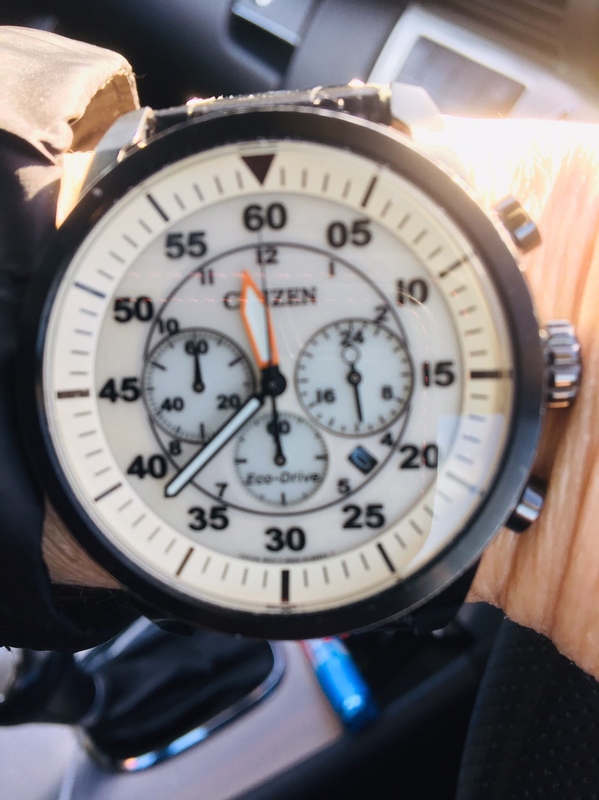 The Citizen watches really are remarkable timekeepers. I do not really recall having to ever reset the time or date on them. 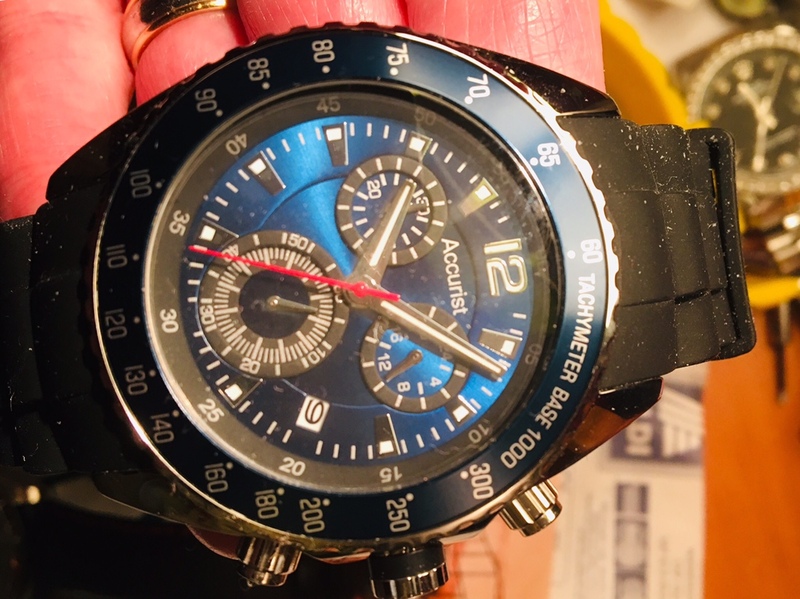 They are also very comfortable to wear for “larger” watches not digging in or slipping around your wrist. ... I think we'd all like to have a Patek Philippe or? I'd need to sell Mrs Edd1968 to afford one.